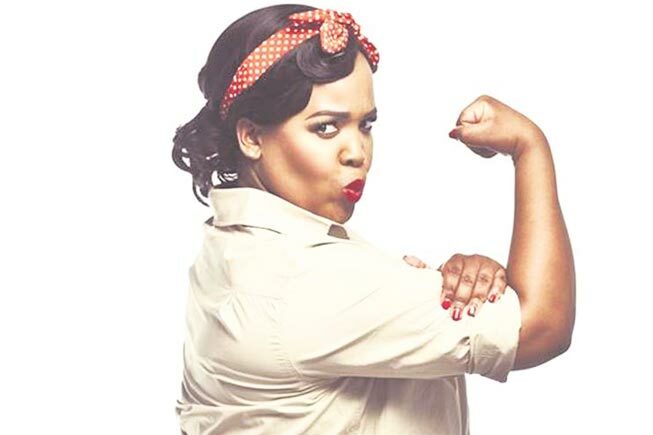 March 25 – South African award winning comedian and actress, Tumi Morake is heading to Newcastle for a one-night-only comedy show at Blackrock Casino. The show promises to have the crowd in stitches. “Tumi is one of the most highly regarded and funniest comedians in South Africa. She is a legend in her own right and a formidable force in the male saturated comedy industry. Guests and local residents can look forward to top-notch entertainment at her show at Blackrock,” said Marketing Manager of Blackrock Casino, Candice Chetty. Mrs Morake’s many career highlights include being the only female among international and local acts at the 2009 Vodacom Funny Festival and being part of the 46664 It’s No Joke line-up. Her comedy style has been described as “in your face” and slightly provocative. Last year, she displayed her versatility when she toured across South Africa as the witty presenter of popular TV show Our Perfect Wedding. “Tumi Morake possesses a universal appeal, making her one of the most in-demand and memorable female comedians in the country. Her show at Blackrock will be another memorable night filled with lots of laughter,” Miss Chetty added. Tickets for her show are on sale from only R150 per person and are available through blackrockcasino.co.za or the Blackrock Cash Desk. Blackrock Rewards cardholders will receive up to 20 per cent off on show tickets. Doors open at 7pm.